Burns & McDonnell’s office in Bloomington, MN, is looking for an Assistant Mechanical Designer to help produce 3D mechanical drawings for commercial aviation, federal government, military and industrial projects. Burns & McDonnell is a 100% employee-owned firm ranked on FORTUNE’s List of 100 Best Companies to Work For and voted as a Best Place to Work in numerous cities across the United States. 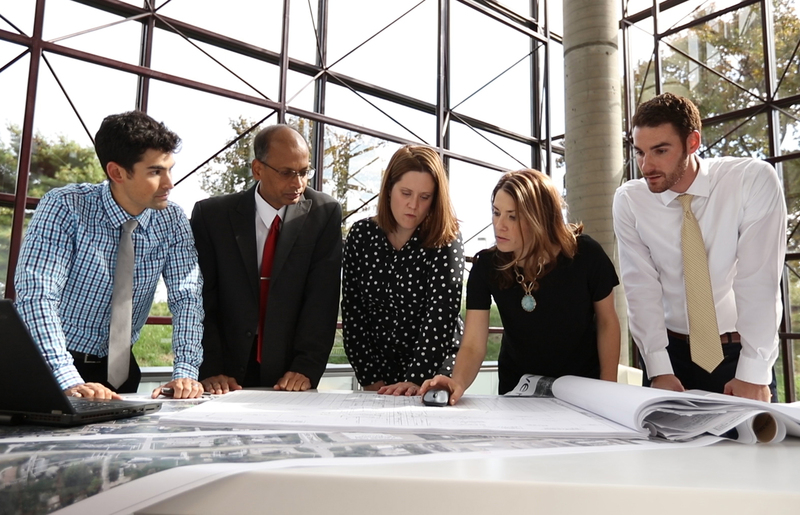 With the mechanical discipline leading the way on these multi-discipline projects, this position offers the opportunity to grow into becoming the go-to design person, organize the entire design team, and provide BIM coordination across disciplines. These projects encompass infrastructure and facility design, and include aircraft maintenance hangars, engine maintenance facilities, munitions assembly and storage, personnel training facilities, flight simulator facilities, classrooms and administration buildings. Assist in planning and preparing detailed drawings for facility HVAC and plumbing systems. Use 3D CAD and other software, including AutoCAD, Revit and Plant 3D. Assist in producing complete PFDs and P&IDs from verbal or written description from the design engineer. Assist in performing a variety of routine assignments using prescribed methods and standard techniques including drawing sequence and presentation, incorporating various system components, and refining rough sketches.Follow all company, client and project design and drafting standards. Apply basic formulas, principles and practices, and use acquired knowledge of fundamental concepts and practices pertaining to the mechanical discipline. Work collaboratively utilizing design systems for the production of mechanical design deliverables. Assist with a full range of drawing production work including problem analysis, design layout and calculations on non-routine assignments of substantial variety and complexity. Assist with initial rough designs or sketches and redlines or mark-ups on ongoing projects. Assist with analyzing reports, drawings, and tests, to plan and design projects. Apply design codes and specifications related to design requirements. Complete and review design drawings within scope, budget and schedule.Perform project tasks and assignments within budgeted hours and deadlines. Incorporate schedules, budgets and project criteria into mechanical design and layouts. Organize and maintain all revisions of project drawings, plot files and project-related information in a logical and well-structured manner. Bachelor's degree in drafting technology or related field and two years’ applicable experience or Associate's degree and four years’ applicable experience or five years progressive detailing and design experience. Strong understanding of 2D and 3D design software and ability to learn and effectively utilize new design software programs. AutoCAD and Revit experience is required. Plant 3D experience is helpful. Prior BIM experience is a huge plus. Basic knowledge in design, calculations and design systems. Basic knowledge in the theory and practices of the mechanical discipline; competent in the fundamental concepts of other disciplines as they relate to the assigned discipline; and capable of operating related discipline design software necessary to execute production tasks. Ability to work collaboratively with others (Project Managers, Engineers and Designers) in a multi-discipline project team environment to resolve design or drawing issues as appropriate and to accomplish objectives. Excellent written & verbal communication skills. Strong analytical and problem-solving skills, and attention to detail.